In the early days of western films, it was always so simple. The upstanding and noble white-hatted hero, pursuing the unsavory villainous “Man in Black”, inevitably clad in a menacing Gothy getup, before finally getting the drop on him and bringing justice and peace to the townspeople. Roy Rogers, The Lone Ranger, and Gene Autry provided a comforting simplified archetype of integrity, their dedication and bravery never in doubt as they brought balance to any situation threatened by malevolence, chaos, or unequivocal evil. The 1990’s brought us a similarly naïve and starry-eyed viewpoint—that of the early internet, in which the wonder and novelty of the possibility of mass communication enthralled us, well before the advent of social media drama, comment snark-offs, or the ruthless quest for personal brand perfection and viral fame. The extent of ambition began and ended with one’s GeoCities or Angelfire homepage, and the excitement of chatting with strangers. The rare occurrence of spam or hacking was viewed as an egregious violation, in the mode of the early cowboy tales. It was, clearly, a much simpler and quaint time. As both the online world and the western genre evolved, however, their level of complexity and moral nuance exponentially increased. 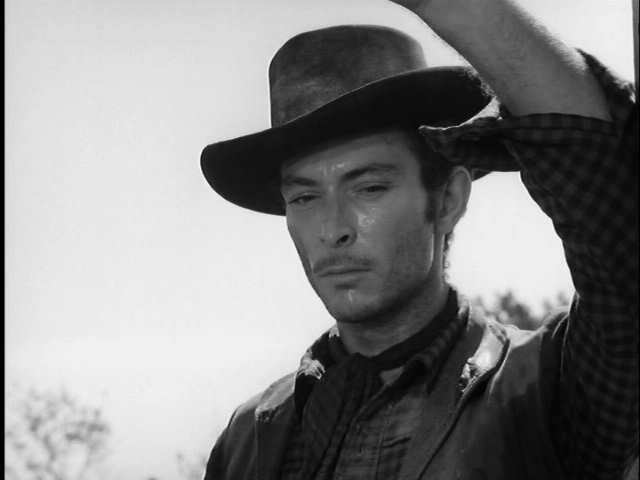 With the advent of more psychologically probing work by auteurs such as Sam Peckinpah, Sergio Leone, and Monte Hellman in the 60’s, the easy lines between white hat and black hat began to blur: The conflicted antihero with a checkered past began to then emerge as the new default for a protagonist, representing a more ambiguous ideal for a more ambiguous era. Similarly, as capitalism worked its magic and the world woke up to the idea that money could be made within the burgeoning online economy, the division between ethical conduct and smart marketing practice also began to dissolve as the specter of SEO rose from the primordial soup of the virtual realm. Like the hardscrabble ruggedness of the actual Western frontier, this new outpost of wide-open space existed in a lawless anarchic twilight zone, where ties were bound in a very loose and malleable social contract at best. From the fluidity of this shifting backdrop came the version of SEO practice we know today as “gray hat”. While trying to stay just inside the pronouncements handed down to them by their omniscient deity of choice (with a capital G), gray hat antiheroes improvised, keeping a stoic Eastwood face while betraying no particular sentimentality; they merely went about their grim business as necessary, betraying no emotion, doing what they were paid to do which (usually) just so happened to coincide with the greater good of the client who hired them. As both evolutions pressed forward, this sophistication of nuance continued to increase, eventually swallowing up the designations of genres themselves. The film audiences of the postmodern era demanded more from directors than simple morality plays—even amoral variations of them—and the more savvy businesses of the contemporary age demand from their SEO providers. While the archetypes of individualism, mystery, and stark moral choice remain at the crux of American values, the frontier setting found itself transposed into more relatable urban or modern rural settings in order to provide a deeper visceral connection with audiences. The questionable gray hat antihero has given way to a desire for clear goodness and respectability in an increasingly fragmented and uncertain time. The white hat has returned, only under a less flashy guise. Now, at this point, I know what you’re thinking. Isn’t it a bit ridiculous to compare the day to day experience of nerds drinking coffee in front of a computer screen to the real life-or-death violence inherent in western action movies? But, as SEOs find themselves increasingly integrated into a broader and more expansive set of responsibilities (digital marketing, industry research, content generation), aren’t we still at heart today’s hired guns, ambling through the deserts of the internet, steely eyed to an epic backdrop of a Morricone soundtrack, navigating the desolate as best we can, just possibly the modern individualists of a pixelated world, the last erstwhile gunfighters of the jagged margins? Seems cool from where I’m sitting. Let’s just go with that.